My husband, Alan Schneider was 44 years old when he lost his battle with a rare form of melanoma. "Attitude is everything", and he applied that to his whole life, including the time he dealt with cancer. There were only 18 other recorded cases of the kind of cancer Alan had and he survived 5 years after his diagnosis, several years longer than any of the others. I believe it was his positive attitude as well as the hobbies he enjoyed. Alan grew up in the Okanagan Valley of BC. 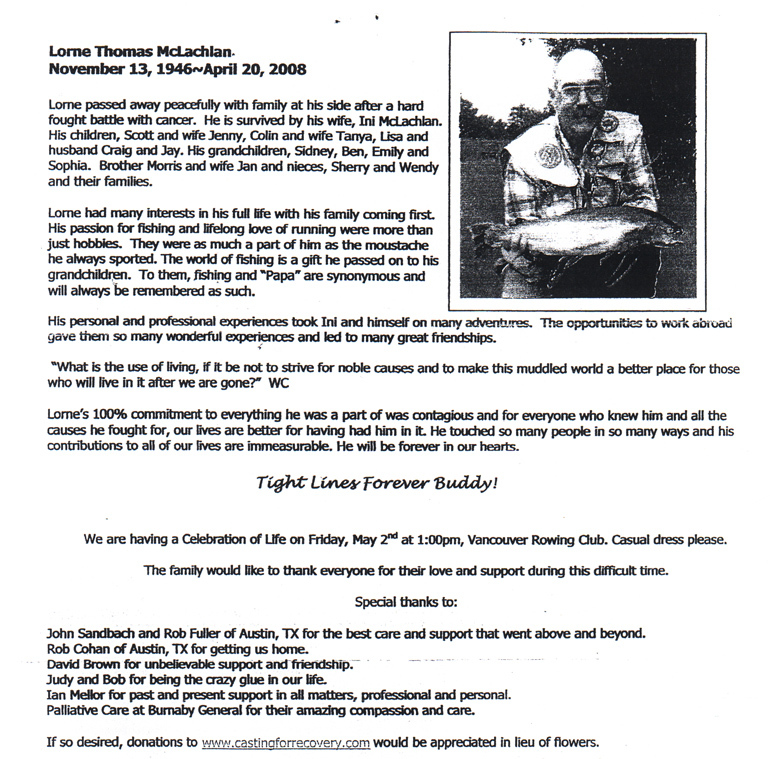 He knew the bush, waterways and back roads like the back of his hand, and much of his life was spent indulging in his favourite outdoor pastime of fly fishing, and learning to tie flies that would last longer than two or three casts. We used to scour the water's edge, looking for insect casings and dead insects, which he took home so he could better imitate them when tying the fly. While Alan was recovering from 35 treatments of radiation he was too weak to do much of anything, so he spent most of his time at his tying bench. During the months that followed he tied thousands of flies. 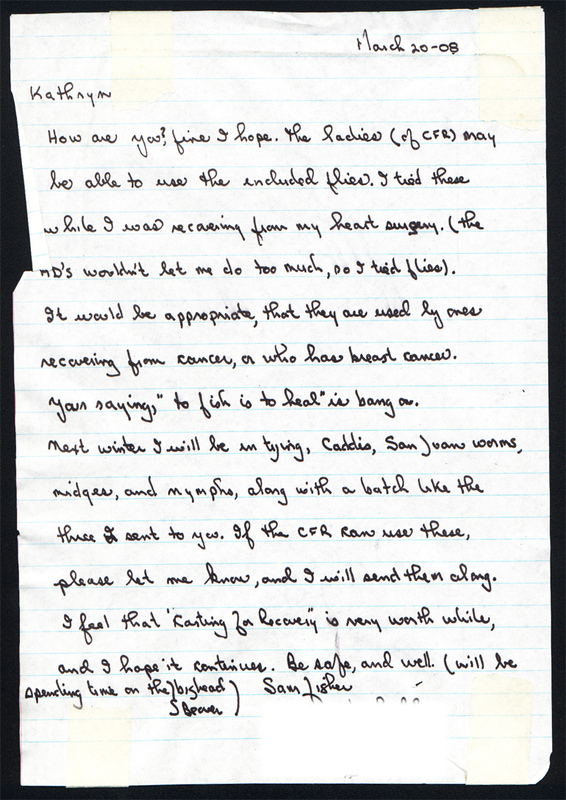 He sold many of them at craft fairs, but when he died he left behind a large inventory. 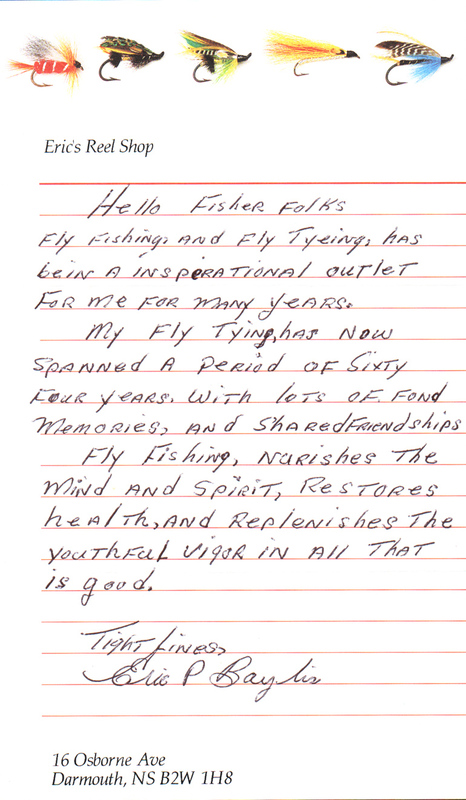 His fly fishing friends and family all have several fly boxes on our vests filled with Alan's flies, but the rest of them will live on with the fisherwomen at Casting for Recovery. 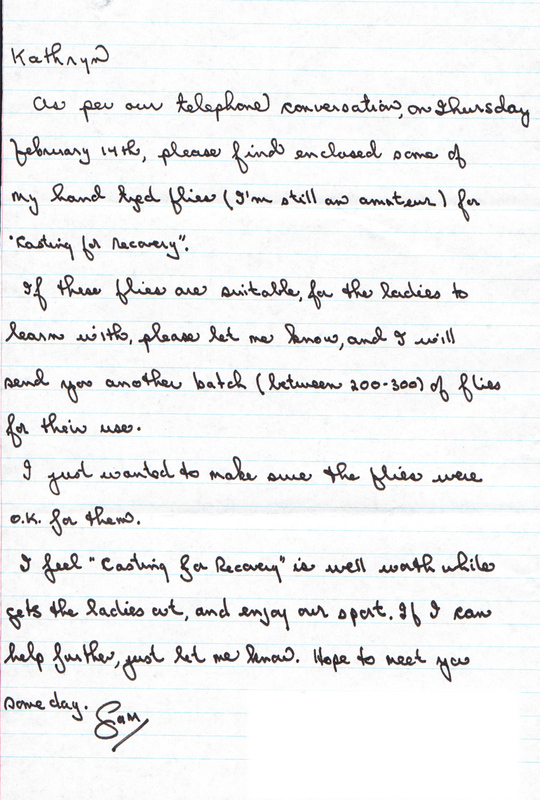 I hope all of you ladies get as much enjoyment fishing with these flies as Alan did creating them. 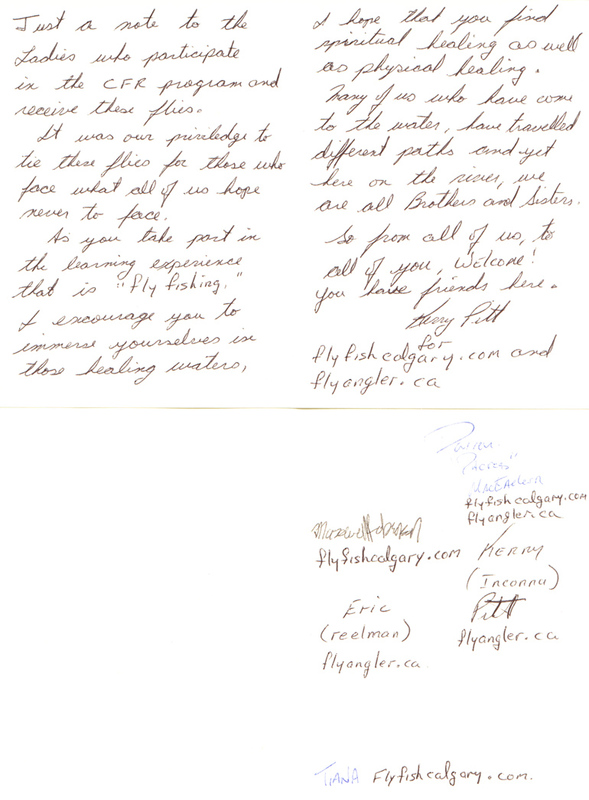 There is great peace and healing in the art of fly fishing, and that's what he would wish for all of you. And if you ever lose a fly due to a cast into a tree or a broken knot, it isn't gone, Alan just grabbed it because it was the one he needed! 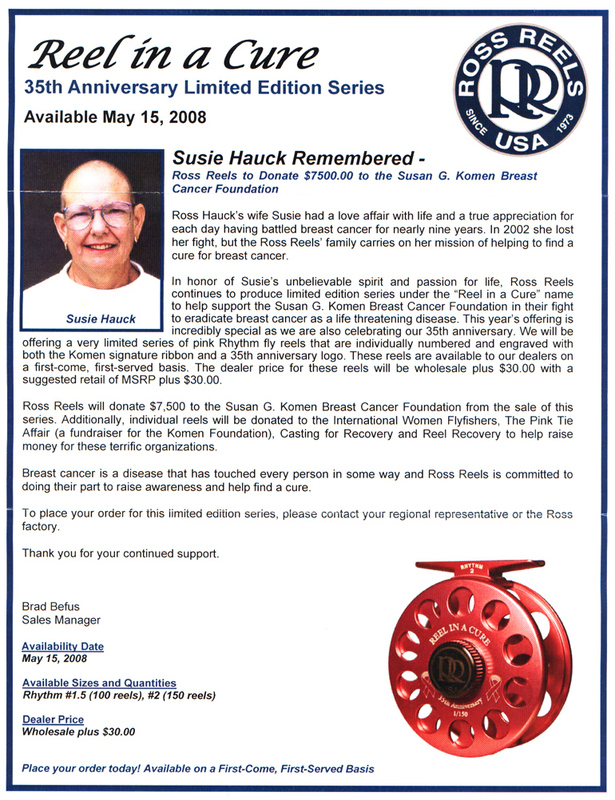 Ross Reels - "Reel in a Cure"
Ross Reels produces the limited edition "Reel in a Cure" dedicated to Susie Hauck.